From 1425; "即金羽意 same as Jinyu Yi"
Modern people think the back of the qin should face outwards; they think the front should faced inwards, so that the hand can control the "dragon pond" (large sound hole; two characters are unclear). 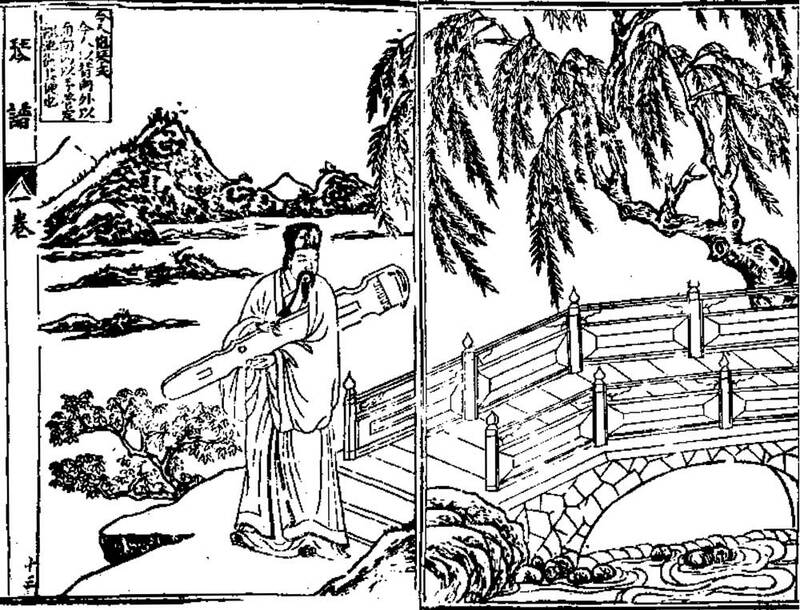 See also other images from this handbook. Also written 嫏嬛記 (same pronunciation). 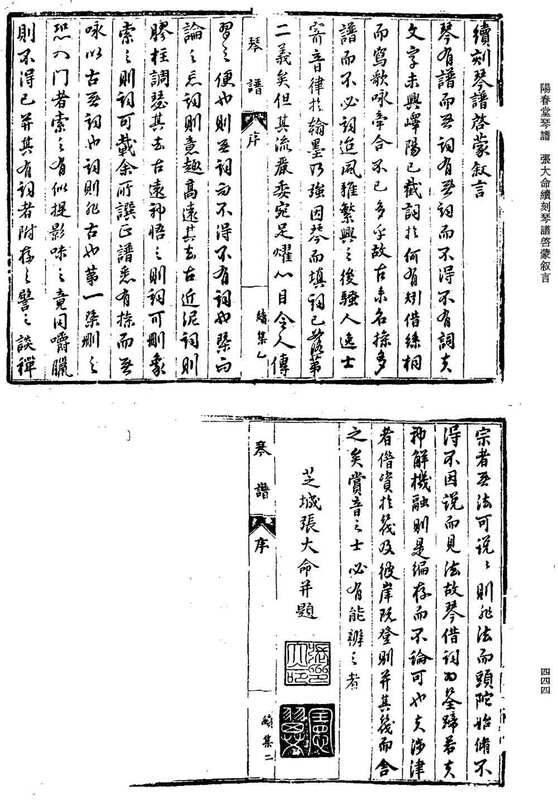 According to 6719 = 21632.9 瑯嬛記三卷 Record of the Heavenly Library, it is said either to be a Ming book pretending to be Yuan, or a collection of stories compiled in the Yuan dynasty by 伊士珍 Yi Shizhen.